포스트이과수의 편리한 위치에 있는 호텔 컨티넨탈 인 카타라타스에서 여행을 시작해 보세요. 활기로 가득찬 도심이 단 2 Km 거리에 있습니다. 본 숙소 주변에는 Cataratas JL Shopping, Avenida Jorge Schimmelpfeng, Catedral Sao Joao Batista 등과 같은 인기 명소가 있습니다. 본 숙소(호텔 컨티넨탈 인 카타라타스)는 피곤하고 지친 여행자들을 기운 나게 하기 위한 우수한 서비스와 모든 필수 시설을 제공합니다. 투숙객 편의와 편안함을 위해 숙소에서 24시간 룸서비스, 24시간 프런트 데스크, 장애인용 편의시설, Wi-Fi (공공 장소), 발렛 파킹 등을 제공합니다. 총 5개 층 124개 객실은 여행 중 내 집에 머무는 것과 같은 따뜻함과 편안함을 선사합니다. 일부 객실에서 평면 TV, 거울, 타월, 옷장, 거실 등을 이용할 수 있습니다. 본 숙소에서 피트니스센터, 사우나, 실외 수영장, 테니스장, 당구대 등과 같은 멋진 여가 시설/활동을 즐길 수 있어 잊을 수 없는 추억을 만들 수 있습니다. 본 숙소(호텔 컨티넨탈 인 카타라타스)의 좋은 위치와 서비스를 충분히 즐겨보세요! 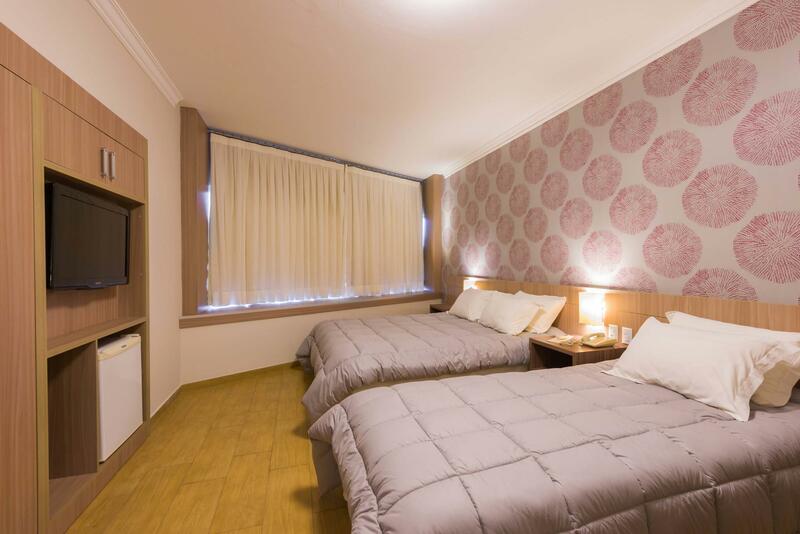 The Hotel is situated almost in the City Centre with a shopping mall at walking distance. It has a small swimiing pool and the staff are friendly. I stayed only 1 night. The room was ok with a small fridge filled with some drinks. I believed a tea facility should be available. It was nice. We were only there two days which I was happy about. The room was large but felt like we were staying at my grandmas cabin because of the decor. The room was outdated and the bedding was kind of scary. Other than that the staff was friendly and everything else went well. Near to Both sids of the falls. Quiet hotel with excellent service. Good and resaonable priced hotel. Relaxing and enjoyable. No problems at all due to friendly and helpful staff. The hotel looks a worn-down and old. But the staff is very friendly and helpful. They are willing to spend the time to tell you about the town and any potential sight-seeing places. They are also willing to help arrange any potential transport that you might require. The rooms are decent and clean, but it was very close to the main street - you can hear the traffic from it which can be a bit disturbing if you are a light sleeper. The breakfast spread was amazing, with plenty of choices. İ stayed with my family ed got two rooms. Location is in te center, nesr to shopping mall. Also there was taxi station in the corner you can take. İ takes 15 min to falls park entrançe. Receptionists at the front desk with good attitude were helping a lot when I did the check-in with plenty of questions. 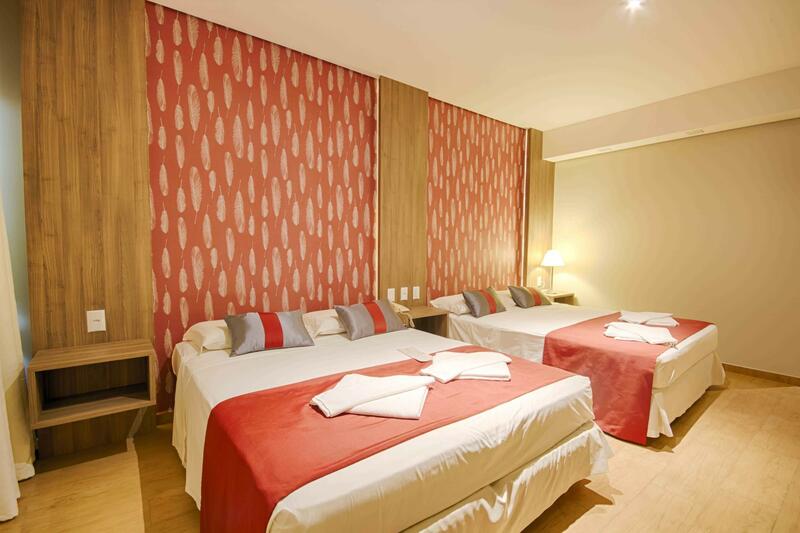 The room is spacious, though no compliment drinking water and hot pot in the room. Since the hotel is besides the main road of the town, it may be some noises happening in the night, e.g., people driving by with loud talking. The breakfast of the hotel is very good, and the atmosphere is quite relaxing for guests. It took me 41 real to the airport by a taxi, which is better than I thought. People of the Iguacu I met with are quite nice. I shall like to revisit, if I have a chance. Good service of all staff. Good location. Shopping mall in walking distance. Various type of food in food center there. The hotel clean, water very soft so difficult to wash out soap from your body. The Iguacu fall is very nice. Son personnel aimable.ses chambres confortables.son emplacement. Deux points négatifs pour cet hôtel : le Wi Fi est payant tout comme l'accès au coffre dans la chambre. Le reste est parfait ,en particulier l'accueil à la réception . Le petit déjeuner est très correct. Sehr schöne, geräumige Zimmer. Alles in gutem Zustand. Frühstück sehr gut, große Auswahl. Personal freundlich, aber überfordert. Zahlung kompliziert. Gutes Essen, Trinkgeld doppelt kassiert. Kellner beteuerte, es würde nicht auf der Zimmerrechnung stehen, war aber doch drauf, mit Hinweis, dies sei für das ganze Hotelpersonal. Von Wasserfall etwas weiter weg. Primeiramente havia reservado uma suite. No entanto, nos acomodaram em apartamento luxo, o que eu só fui perceber no segundo dia. 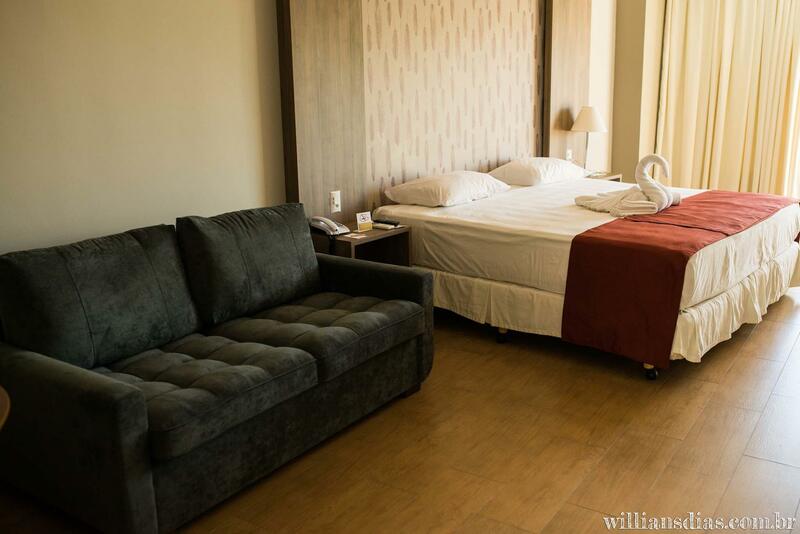 Mesmo após a alteração para a suite inicialmente reservada, ficaram questionando que o erro foi da Agoda e no final das contas pediram para eu entrar em contato com a empresa para resolver a situação que o hotel errou. Dentre outros detalhes, acho que a piscina poderia ser bemmm mais limpa, pois o limo entre o rejunte é gritante. 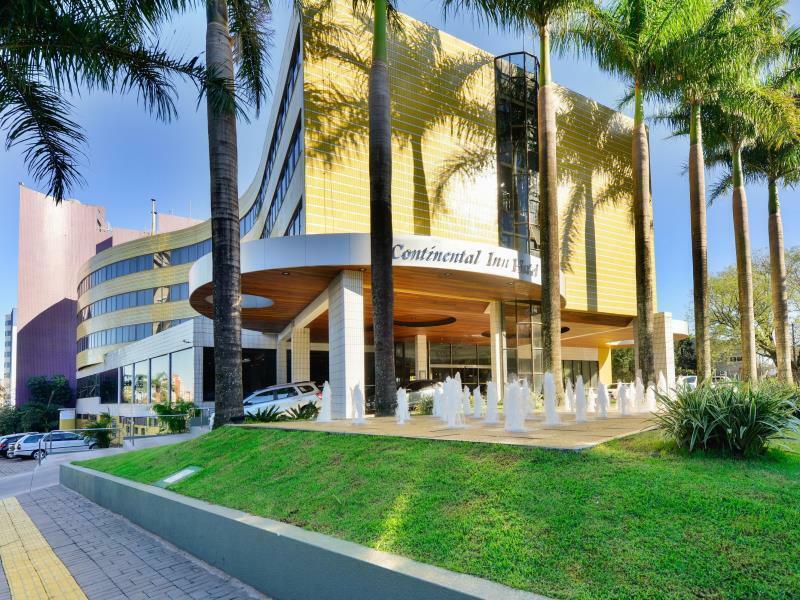 No mais, entendo que o hotel, muito embora esteja qualificado como 4 estrelas, se encaixa em um 3 estrelas.